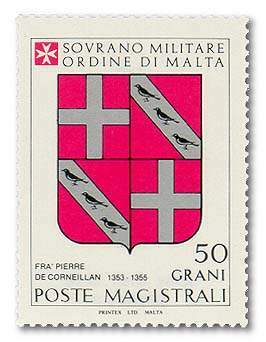 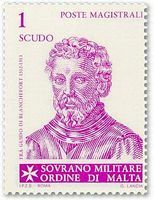 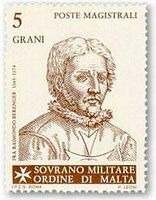 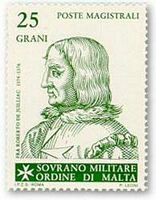 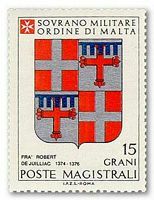 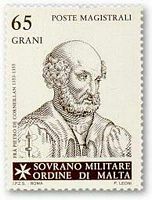 The Sovereign Military and Hospitaller Order of Saint John of Jerusalem, of Rhodes and of Malta has since the beginning of the independence from other States, under the Acts pontiffs, and the universally recognized right to maintain and engage the armed forces, which forms the basis for the international sovereignty of the Order. The Order was akin to a republic equal to marine Genoa or Venice. knights, wearing a red coat with a white cross, among the knights were the Knights of Justice (title acquired by the presentation of at least 16 quarters of nobility) and the knights of grace (as obtained by merit alone). By necessity, the hospital order also became a military and armed knights were noble birth from noble Catholic families. 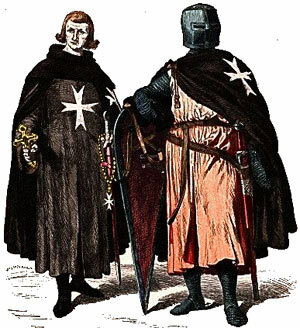 brothers in arms servants, caretakers of the Knights Hospitaller, a commoner, the servants were loaded weapons at once the work of war and care for the sick. 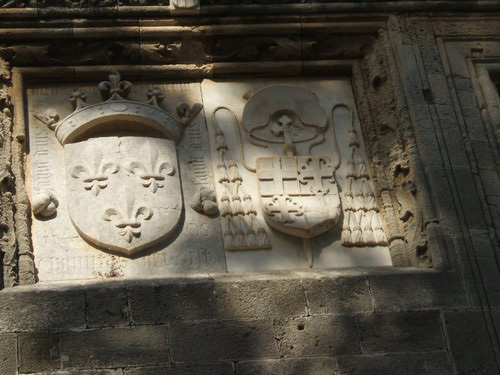 brothers of obedience (chaplains), who were the priests of the Order. 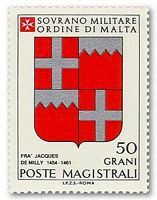 Members of the Order were a community subject to the Rule of St. Augustine. The brothers swore an oath of poverty, obedience and chastity, and swore to assist in the defense of Jerusalem. 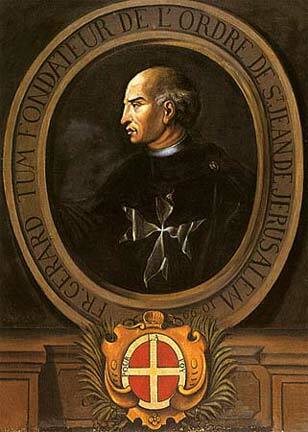 Fra ’Pierre Gerard, their first leader, was named president and later, the leaders of the order took the title of Grand Master, elected for life. 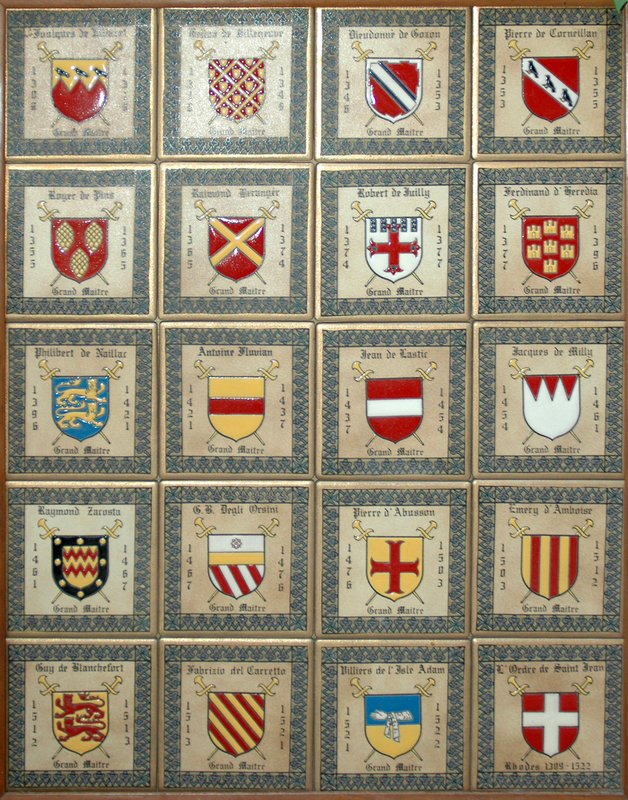 From Montpelier Chapter, held in 1327 by the great master Helion de Villeneuve , and installation Rhodes , the knights were divided into seven nations or "languages": Provence, Auvergne, France, Aragon-Navarre, Italy, the UK (including Scotland and Ireland) and Germany, the latter encompassing all the states of Central Europe. From 1492, an eighth language born of separation between Aragon, Navarre and Castile-Leon and Portugal. 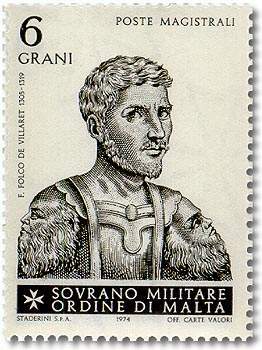 Each language included Priories and Grand Priories, Commanderies and Bailliages. 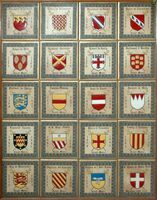 The set is divided into twenty-two grand priories and nineteen bailiwicks, all comprising some six hundred commanderies. These commanderies consisted of land donated or bequeathed to the College by generous donors and assigned to command of the Commanders who had the obligation to welcome and care for pilgrims and needy patients in outbuildings in hostels and clinics. 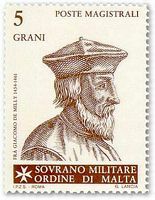 The revenue generated by the farms they maintained areas, the benefits are collected for the General Treasury of the Order. Provence, the oldest languages, has two large priories, Saint-Gilles and Toulouse, which include more than sixty commanderies in the late eighteenth century. 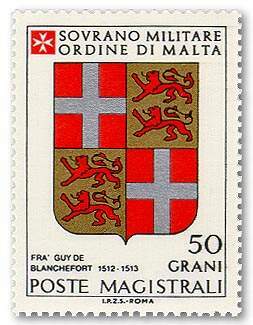 The Auvergne has the great priory Bourganeuf which has sixty commanderies. 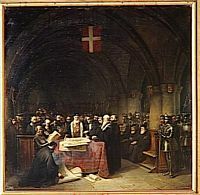 Language of France includes grand priories of France, Aquitaine and Champagne, which brings together a hundred commanderies. Outside France, there are the language of Italy, with the grand priories of Rome, Lombardy, Veneto, Pisa, Messina, Milan and Capua; Language of Aragon, with the grand priories of Catalonia and Navarre Language of England, with the grand priories in Scotland and Ireland, Germany Language with large priories of Hungary, Bohemia, Poland, Denmark and Sweden, the Castilian language with the grand priories of Castile, Leon, Portugal, Galicia and Andalusia. 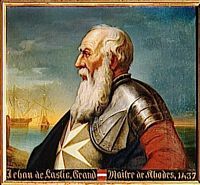 the great commander, also called great tutor, just after the great master, which it replaces in case of absence or illness. 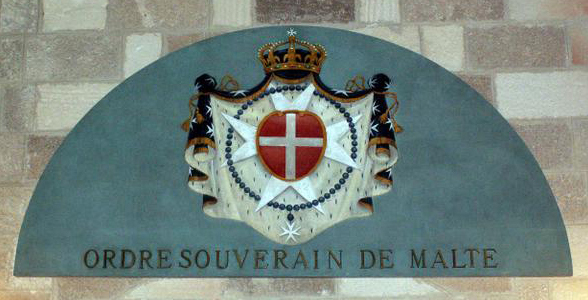 This title is awarded after the creation of Languages, the pillar of the Language of Provence. the grand marshal is in charge of military affairs. 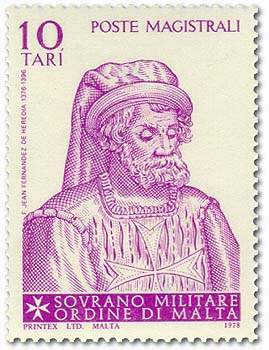 This function returns the pillar of the Language of Auvergne. 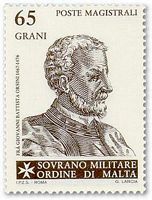 the general hospital is the Superintendent of caring for the sick. This charge is assigned to the post of Language in France. draper, responsible for clothing, sees her as the pillar to the language of Spain. 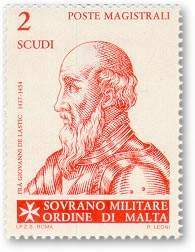 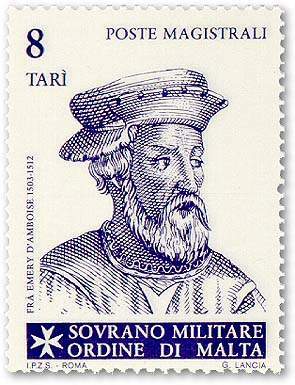 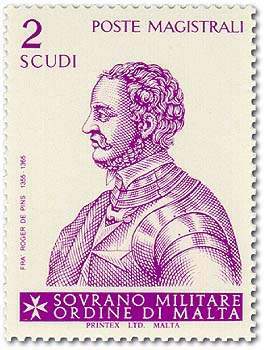 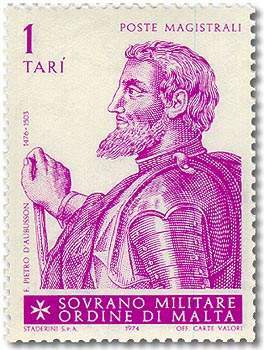 the title of Admiral Superintendent of Naval War College is the pillar of the Italian Language. title turcoplier, commander of the auxiliary troops of light cavalry, is attributed to the pillar of the Language of England. charge of grand bailiff, which has jurisdiction over the fortifications, returns to the language of Germany. 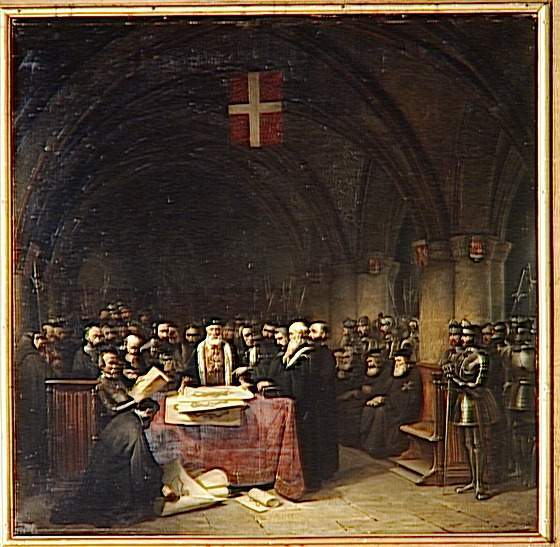 the title of Lord Chancellor, who signed the acts of the Council, is attributed to the pillar of the language of Castile. 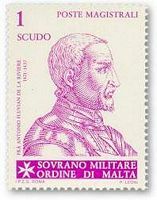 The Order also other civil and military officers, as Equerry, responsible to maintain law in the hospital. The butler collects taxes. Then the commander of the knights and squires. This complex hierarchy, there are still major loads that administer the Order (Grand Commander, Grand Chancellor, large hospital and recipient of the ordinary Treasury) and Council form the sovereign "
The Order is still very hierarchical, a Grand Master elected for life is assisted by a Sovereign Council. 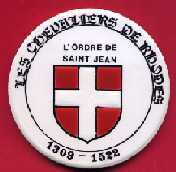 The organization "languages" have disappeared, members of national associations formed in 1864. 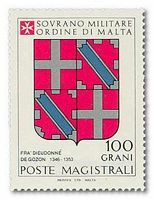 The Order is organized into five main priories and many national associations, it maintains diplomatic relations with the Vatican and various countries. Knights wear a black cloak which is applied a Maltese cross. The Grand Master has the title of prince and ecclesiastical ranks equivalent to cardinal. 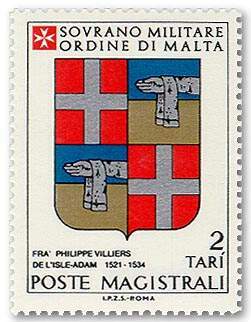 "Tuitio Fidei et Obsequium Pauperum", "Defense of the Faith and assistance to the poor." 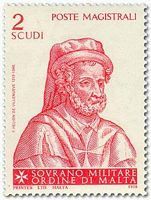 The end of the fourteenth century to the early sixteenth century, four great masters Hospital were, directly or indirectly, from the "language of Auvergne," one of the eight "tongues" (or "provinces") component Order. It was Philibert de Naillac (born in Bridiers or in Le Blanc, it is much known) from 1396 to 1421, Jean de Lastic, from 1437 to 1454, Pierre d’Aubusson, from 1476 to 1503 and, finally, Guy de Blanchefort , nephew of the former, in 1512-1513. The largest of them, without any doubt, was Pierre d’Aubusson. 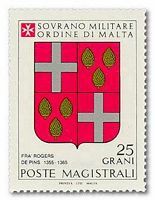 There is not a fortress of Rhodes or any other islands of the Dodecanese where not found countless "signatures" materialized by affixing his arms. 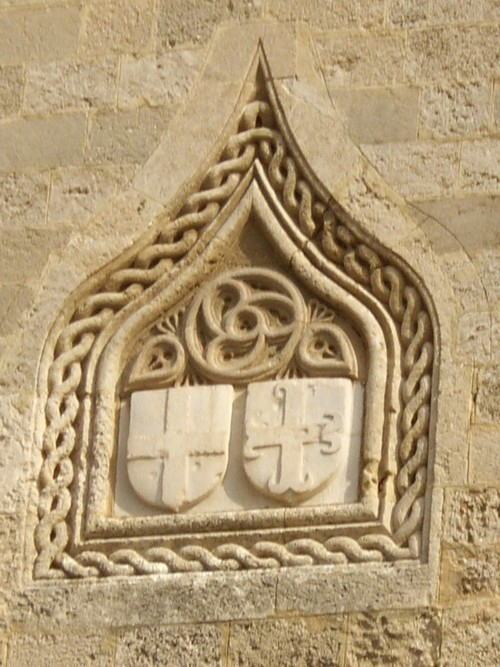 The Catholic Order of St. John, founded in 1070 in Jerusalem had a vocation hospital dedicated to receive pilgrims, to meet their needs and treat their diseases. 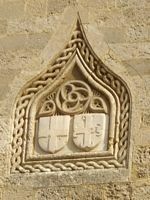 It was historically protective of a hospital built in Jerusalem before the First Crusade. 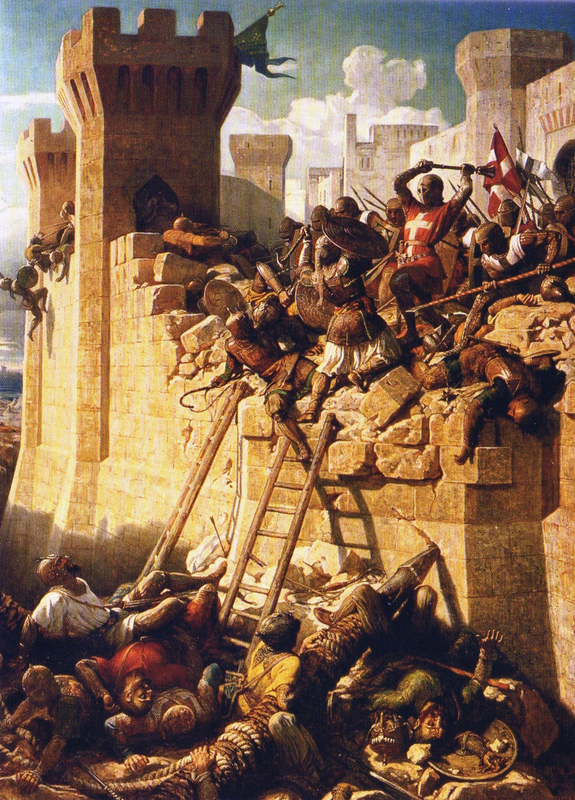 The conquest of Jerusalem in 1099 during the crusade barons led by Godfrey of Bouillon led to the foundation of the Latin kingdom of Jerusalem, which guarantees access to the tomb of Christ. The order of the Hospitallers, or Knights of the Hospital of St. John of Jerusalem, strictly speaking, born in 1113, approved by Pope Pascal II. The influx of pilgrims is such as to ensure their safety part of the Brothers Hospitallers become monks soldiers charged with weapons to defend against attacks by Muslims. In 1121, at the suggestion of Raymond du Puy, the second Grand Master, the Order became an order both hospital and military. 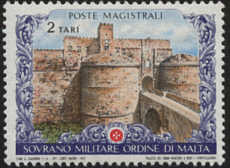 Between 1142 and 1144, the College acquired five fortresses in county of Tripoli, including the famous Krak des Chevaliers, which became a symbol of his power. 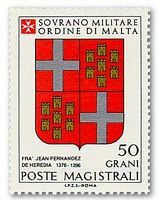 After the fall of Jerusalem to Saladin in 1187, the Hospitaller Order of St. John of Jerusalem moved to Saint-Jean d’Acre. In 1291, Jean de Villiers, who was then Grand Master of the Order was injured during the fall of Saint-Jean d’Acre he retired with the Hospitallers in Limassol (Cyprus) and installs the Order, he died in 1293. For several years, the Knights have fled to Cyprus under the protection of Lusignan. 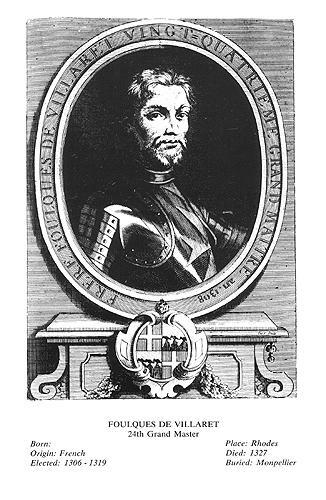 Taking advantage of the decomposition of the Byzantine Empire, Fulk de Villiers, nephew of Guillaume de Villaret continued the project of his uncle and Rhodes won in 1308. Knights ransomed Island Genoa and settled there. 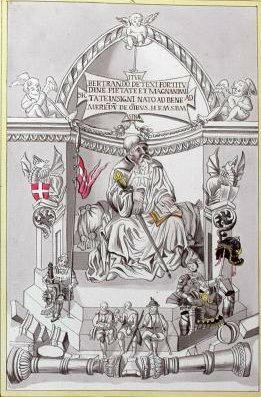 The Order established his sovereignty and organizes the administration of his estate in Europe, the grouping of priories and commanderies in seven, then eight, regions or nations called "languages". At Rhodes even from the beginning of the fourteenth century, the Knights are grouped into "languages". 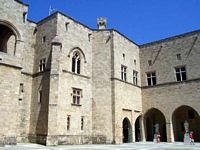 Members of the College who joined Rhodes from all parts of Europe and the institutions of the Order regrouped until the early fourteenth century as their native languages. Each "language" met in a home or "Hostel" reserved for the group. Each "nation" consisted of Knights, brothers and servants of clerics attached to churches and hospitals of the Order. The Order was governed by the Grand Master (the Prince of Rhodes) and by the Council, he coined money and maintained diplomatic relations with other states. 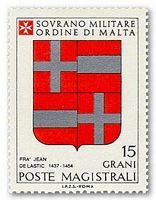 Other expenses of the Order were given to representatives of different languages: the headquarters of the Order, the Convent, was composed of religious of various nationalities. 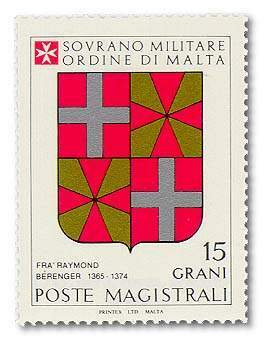 The order has a power never reached the religious order have their own territory and remain sovereign. 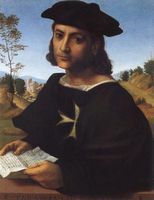 The first time the presence of the Order in Rhodes, the French being the most numerous, the written language was French, to the first half of the fifteenth century, there was a shift to Latin, and, after 1454, also into Italian. The language spoken in the fifteenth century was probably a "lingua franca" with contributions of Italian-Venetian. During the two centuries of the Rhodian period, the Hospital may, through their significant resources, relentlessly pursue their original mission, both within languages, where hospitals, clinics and infirmaries are created and grow, and in the island where the immensity of the buildings are still visible today, a testament to the importance of their facilities in medicine, surgery and pharmacy. 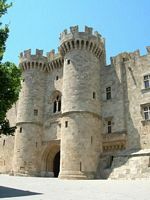 If Rhodes is definitely the place to admire the remains left by the Order of St. John, other constructions are still the majority of the Dodecanese islands. Fortresses and citadels were indeed built or restored more often simply in order to oppose the Ottomans first dam on the islands of Nisyros, Tilos, Kalymnos, Kastelorizo ​​or Kos . 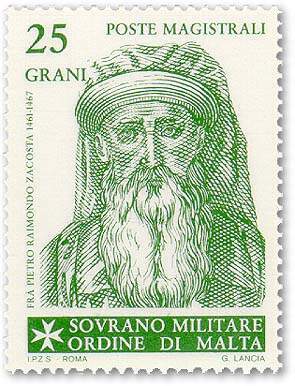 At Naxos also the largest island of the Cyclades, is the Church of St. Anthony Hermit-built in the fifteenth century by the Knights. Knights of the Order roam the seas for seven years, taking refuge in Crete and Sicily, and do not regained headquarters before 1530, when Malta was given to them by Charles V., fee of the Kingdom of the Two Sicilies. 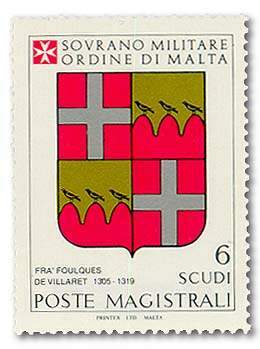 The Knights will therefore known as the Knights of Malta usual. Made themselves masters of the island, the Knights of Malta headed a fantastic defense of the island against the Ottoman invasion fleet in 1565, they drove after months of struggle, Valletta including illustrations. 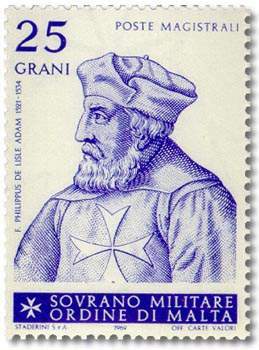 The Order was now celebrated throughout Europe as the savior of Christianity. 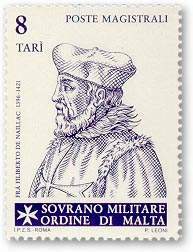 However, expecting an imminent return of the Turks, the Knights built the fortified city of Valletta, named in honor of Grand Master at the time, Jean Parisot de la Valette. 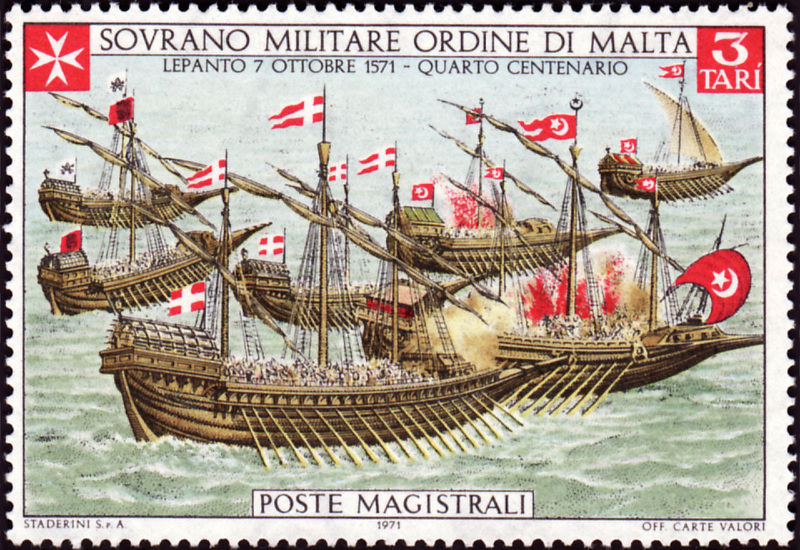 Later, the Knights of Malta became famous again in the victory of Lepanto in 1571. 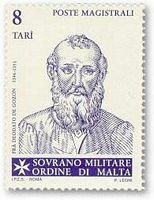 The College will attempt to keep Malta until the French Revolution. Retained the Knights of Malta until 1798, when Bonaparte, from Egypt, they took the island, obtained the abdication of the last great master (Hompesch) and put an end to the political existence of the order. 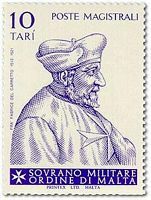 Russian Tsar Paul I, who was declared the patron was elected Grand Master, though not Catholic. The order was featured in European history until the nineteenth century. 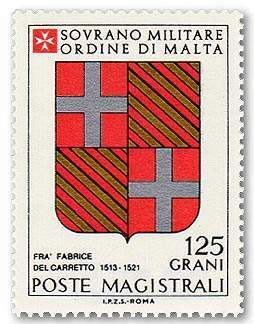 The seat was transferred to Trieste in 1798 in Catania in 1801 in Ferrara in 1826, and in Rome in 1834. In 1850 there was an attempt to restore the Order under the protection of the pope: he was to reside in the Holy Land, and vowing, as originally hospitality, but these projects have remained without realizing, until ’In 1878, when he found his initial humanitarian. Today, the Order is returned to his first vocation hospital, and his humanitarian works reflect his intense activity among the poor and the sick. It has hospitals, first-aid centers and facilities for the care of wounded and refugees. 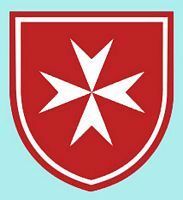 It provides emergency assistance during conflicts or natural disasters (eg during the 2004 tsunami in southeast Asia) and has hospitals in the world who are also involved in research. The Order of Malta is now an NGO recognized by the United Nations, with which he has a permanent observer. An article by Philippe Conrad on the history of the Knights of St. John.